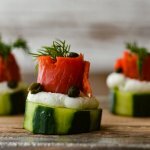 Smoked Salmon and Cream Cheese Timbales with Cucumbers are light and flavorful appetizers. The blending of salmon, the creaminess of the cheese, along with the crunch of cucumber make it a delightful start to any dinner party. 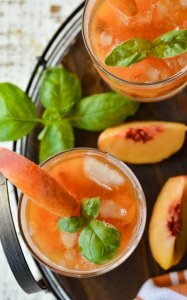 These can be made ahead of time so you are free to enjoy the evening with your guest. 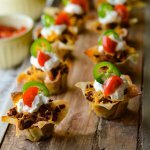 They are great bitesize finger food. Mondays! Either we love ‘em or hate ‘em. Monday for me, this week, feels pretty dang good. I was out of town the past couple of weeks and although I didn’t get a lot done on my weekly “to-do” list, I feel completely satisfied. The reason: I spent some really sweet time with family: my brother, his wife and all of their crew. I’ve learned a hard lesson over the years: relationships take priority over projects, goals, and productivity. When I was younger, I was “on the grind” constantly. “Hustle” was my second name. And although I set aside time for other things, it was difficult for me to be “in the moment.” I was always thinking about the next accomplishment. I still love the energy that comes with being productive. There’s nothing like ending the day after you’ve given your all to a difficult task. Your mind or your strength may be spent but there’s contentment that brings a satisfying rest. What I’ve learned though, (or shall I say still learning) is work must be balanced with play. And relationships should take priority. So, with my heart satisfied because of time spent with family, I’m turning my attention to a blog which is feeling a wee bit neglected. Here I am, this Monday morning, ready to crank out some great recipes. 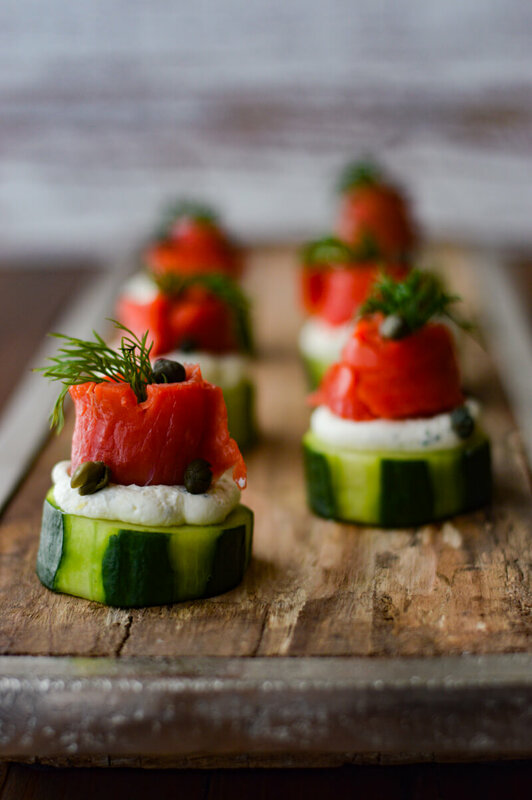 I have a splendid appetizer for my continued series, “Dinner Parties with Friends.” This recipe, Smoked Salmon and Cream Cheese Timbales with Cucumbers, is both beautiful and extremely easy to pull together. Since you’re providing food for the entire evening, you want to begin with a light teaser. 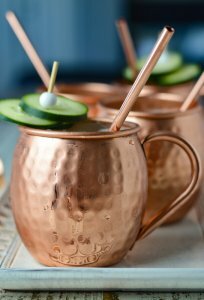 Anytime I’m planning a get-together, my number one consideration is simplicity and make-ahead recipes if possible. I hate the frazzle of hurried preparation. I can still fall into that trap, but I have gotten better over the years. The more things I can get done beforehand, the more relaxed and enjoyable I am during the dinner. 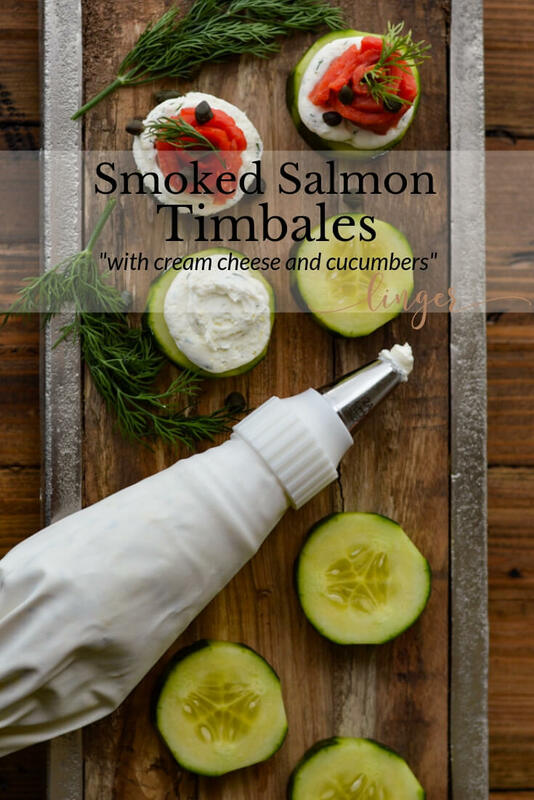 These Smoked Salmon and Cream Cheese Timbales with Cucumbers can be prepared 24 hours ahead. I was inspired by a timbale appetizer at a local restaurant that we have near us. I changed up a few ingredients for the cream cheese mixture. I added some fresh dill and gave it a little kick with horseradish. If you’ve ever had a bagel with cream cheese, smoked salmon, and capers, you will know how wonderful these flavors go together. The cucumber is light and crisp which is a perfect base for this appetizer. I peeled strips off the cucumber for a nice, striped effect, but you can either peel the whole cucumber or leave the skin completely intact. It is mainly for appearance. 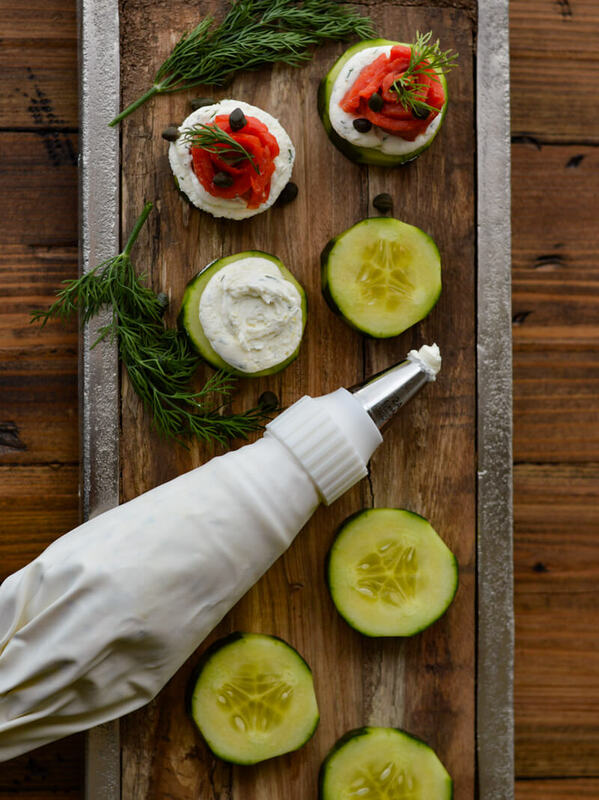 A pastry bag with a large round tip works great for piping the cream cheese onto the cucumber. Cut the smoked salmon in strips, roll them up and place them on top the cream cheese mixture. 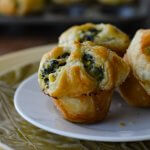 When I first made these, I added too much lemon juice and zest to the cream cheese. So I pulled back on it as not to overpower the other flavors. What tops this little nibble off is its capers. They are small but they pack a powerful salty, briny punch. You will find that this is a great beginning to your dinner party. I think your guests will find it quite appetizing! (This recipe was adapted from Allrecipes.com.) 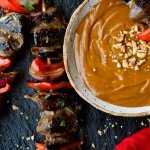 If you’re looking for more appetizers, check these out as well: Bacon Wrapped Chorizo Stuffed Dates, Spanish Pork Skewers, or Spinach and Feta Puff Pastry Appetizers. 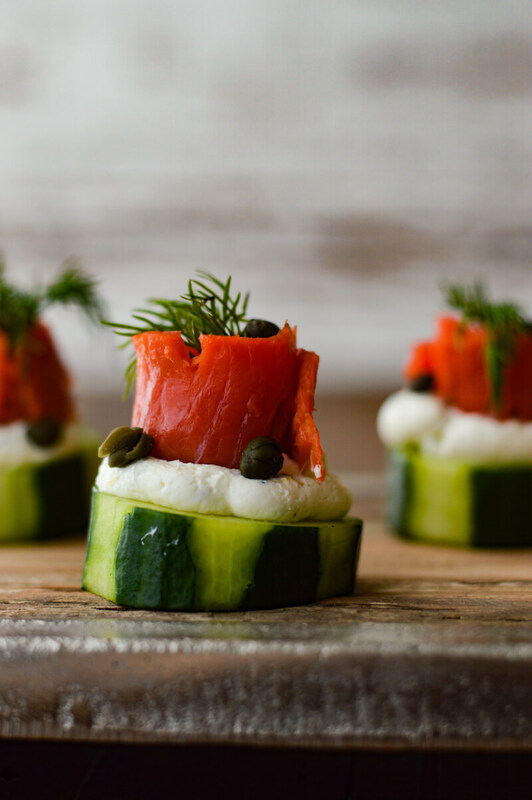 These splendid appetizers have the ideal blending of smoked salmon, cream cheese and the crunch of cucumber. A nice start to any dinner party. In a small bowl beat all the ingredients together except the cucumber. Lay out the cucumber rounds onto a serving plate. Using a pastry bag with a large round tip, pipe the cream cheese mixture onto the rounds. Cut each slice of smoked salmon in half lengthwise and roll up. 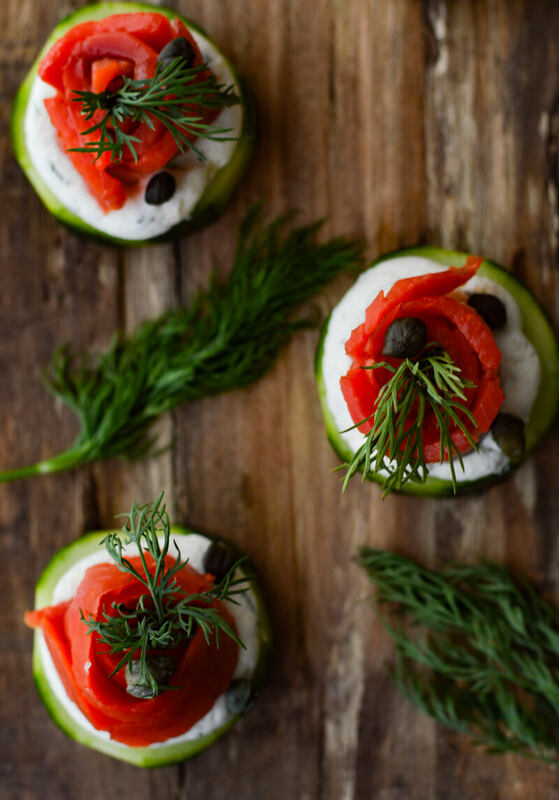 Layer the Salmon on top of the cream cheese mixture and place the small sprig of fresh dill in the center (optional). Sprinkle the capers over each of the salmon timbales. Chill for at least one hour, up to 24 hours. 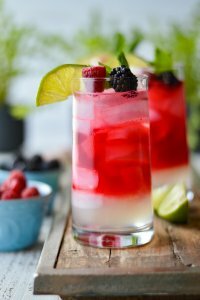 Kristy, those look amazing! I love the photos too! Thanks so much Niki! 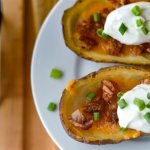 They are perfect for Keto as well. 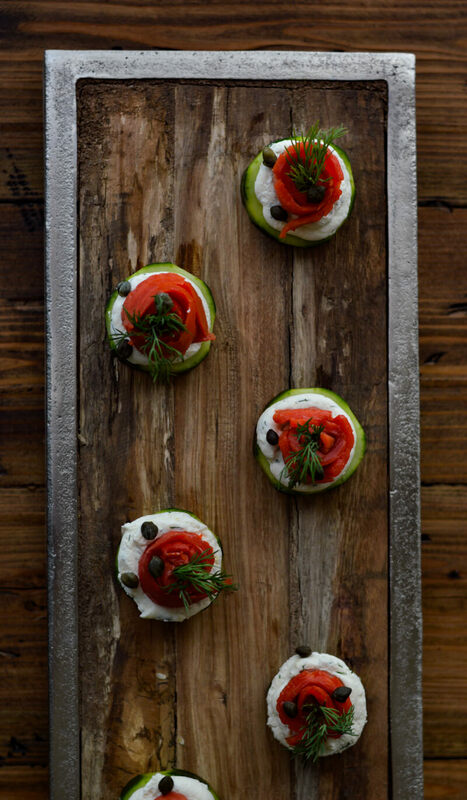 Smoked Salmon and Cream Cheese are the perfect combination for an appetizer.